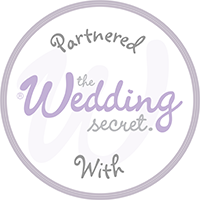 We are excited to be partnering with ‘The Wedding Secret’ who provide a wonderful service for Brides and Grooms up and down the country. If you are looking for a catch all place to find your wedding venue or wedding suppliers then look no further! Its always great to meet people in the wedding industry who are passionate about what they do and are looking to do everything they can to help couples who getting married. The CoverUps are proud to be one of their registered suppliers for the Warwickshire area check out our page here!